Promotional giveaways are always customised gifts and by sending them out to the clients and customers. By doing this, one can take their brands to the next level. Promotional corporate gifts are such items which one needs to be handed out not only to the clients but also to the consumers as well because it can increase the prospect on the company on a daily basis. Here are some major promotional gift items that one can use as a giveaway and this is always a smart marketing agenda. Though they sound it to be very simple but this is such an item which will never go out of style and will never lose its usefulness. A promotional pen can always add some positivity to the brand recognition. Pens when given to customers and the clients, they can use it on an everyday basis and if they imprint the name of the company on the body of the pen then the company name also gets more visibility. There are varieties of pens that are in the market these days and so one can go for a stylish pen which has some good use. This is another useful thing which is needed on an everyday basis. Everyone has a laptop or a desktop at home these days. Keeping their screens clean and tidy is something which is very necessary; otherwise the visibility of the screen gets affected. So, one can think of a set of screen cleaner as a promotional gift item. A pack of screen cleaner for their clients can be a well thought promotional gift item and one can imprint the name or the logo at one corner of the cleaner. Charging phones and laptops on the go is very important because some may be out of the house for a very long time and these mini chargers help one to keep their electronic devices charged up. These wireless chargers are becoming inevitable these days among people. Sp, getting this a corporate gift can be a great idea and one can stamp the logo of their company on top of the charger. Coffee of tea mugs are something which everyone craves for. A designed or a doodled mug can easily catch the attention of people and they look really attractive. One can use this as a corporate gift idea and they can put the brand name at one face of the mug and the doodle or the design on the other face of it. This will make the brand name visible as well. This is another useful item which one can give as a gift. Trendy sippers are in these days and they can also keep the water cool inside. One needs to carry a sipper when they are out in summer or going to the gym. One can out the brand logo on the body of the sipper to make it visible to the others. 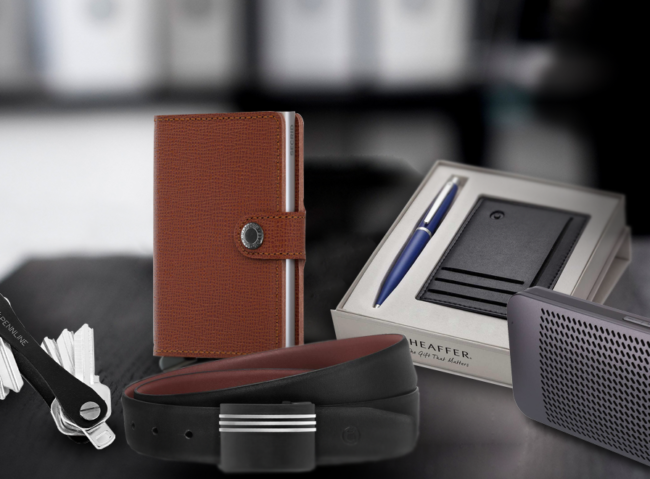 These are some branded corporate gifts and affordable ideas one can think of.